Did you know you could be asked about electronic stability control (ESC) as part of the Driving Theory Test in 2019? It’s important to know what it is and how it can help when a car skids in slippery conditions. Electronic stability control (ESC), otherwise known as traction control, dynamic stability control, or anti-skid technology, has been fitted as a standard on all new cars since 2014. Designed to combine the function of both antilock braking systems (ABS) and traction control, the computer-controlled system detects loss of traction and attempts to regain stability. When the ESC system detects any loss of traction, it automatically makes corrective adjustments to prevent loss of control to individual wheels and regain stability (as long as the slide or skid isn’t severe). When it’s in operation, a driver may remain unaware of what limits the car is under, so cars fitted with the technology will have an indicator lamp that flashes when it’s in use. Drivers need to take immediate action if the electronic stability control system begins to flash, as this is an early warning sign that you should slow down immediately. The best protection against skids is to drive in a way that can avoid them in the first place! Driving at speed, taking a bend too fast, needing to take evasive action and not taking care in slippery conditions are all factors that can lead to a skid. A concerning fact is that most drivers don’t know how to combat a car that is skidding or sliding. 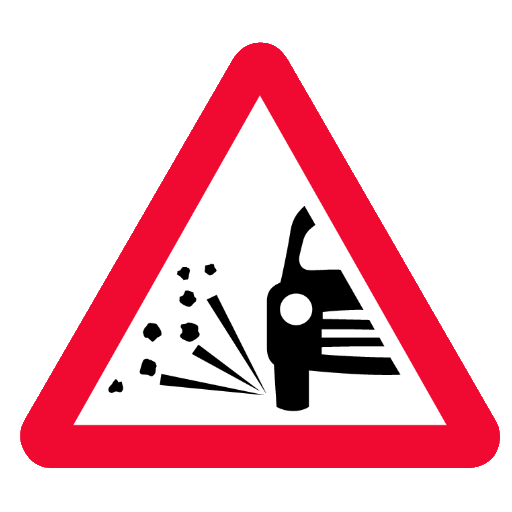 There are conditions that you should be on the lookout for such as road signs indicating the likelihood of slippery surfaces, but you should also use good judgement. If you can see that the road looks slippery (even in the summer) such as from rain, ice, snow, frost, wet mud, and wet leaves, the best option is to keep your speed down. It’s worth noting that loose road surfaces, oil and diesel spillages, as well as patches of new tarmac, will also make a road slippery! Slowing down, steering and braking gently, and using engine braking will help to avoid a skid, and remember that on very slippery surfaces, your stopping distance can increase by ten times compared to a dry road. Read our stopping distances blog for more information. Although cars fitted with electronic stability control can help to reduce the likelihood of being involved in a fatal crash, it simply can’t overcome the safest option which is to drive with care in the first instance. And while the technology is a benefit as it automatically applies small amounts of braking at the beginning of a slide, it still ultimately relies on a vehicle’s overall braking system and tyres. It simply won’t prevent accidents if you drive at high speed or don’t take extra care in poor road conditions. • Remove your foot from the brake pedal. It’s instinctive to brake, but this makes matters far worse, so keep your foot completely off the brakes. - If the rear of the vehicle is going left, you need to steer left to bring the front wheels into line with the direction of the back wheels. - If the rear of the vehicle is going to the right, you need to steer right. Remember that too much movement of the front wheels will lead to another skid in the opposite direction, so steer smoothly! If the front wheels are sliding instead of, or as well as, the back wheels, release the accelerator and don’t try to steer until the wheels regain some grip. This problem will be replicated if too much power is applied on a front-wheel-drive vehicle, so again, ease your foot off the accelerator. Need help revising for your Theory Test? Take a look at our extensive range of learning material to ensure you get that first-time pass.